When I first saw the promo pictures for MAC's Semi-Precious collection, which was released on July 7, I thought I'd be buying a lot more than just two items. The eye shadows looked so unique and beautiful in their pans, I thought I wanted almost all of them! 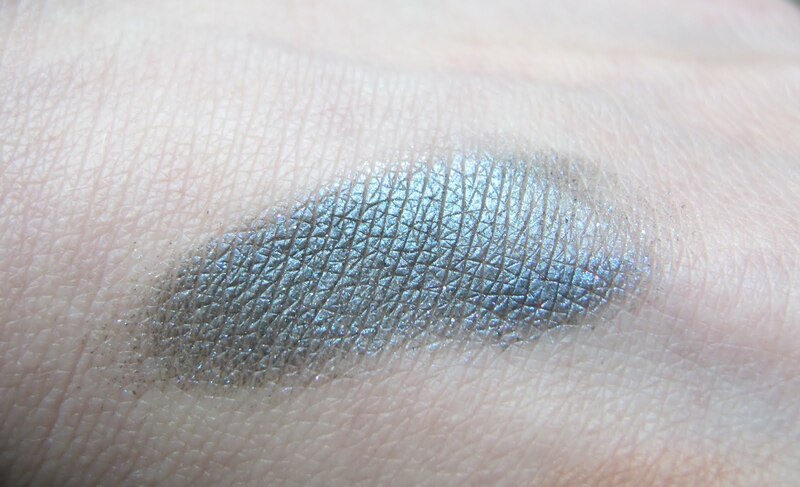 Unfortunately, they were not all that unique when swatched. I also was a little short in the cash department for this collection. Thanks to Pink Sith, I blew some cash on Chanel products (oopsies!). 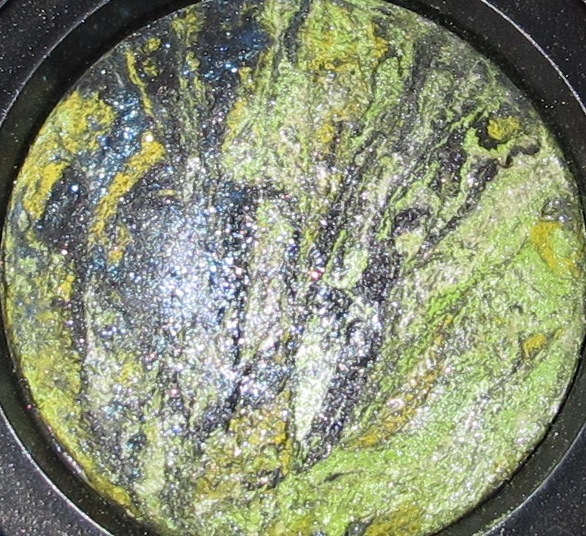 Ultimately, I purchased Warmth of Coral mineralize blush and Jade's Fortune mineralize eye shadow. I am a big fan of MAC's mineralize products, they seem to work well with my skin chemistry, although many people can't stand them. Mineralize blushes are my go to blushes and I prefer them over any other brand/variety of blush. 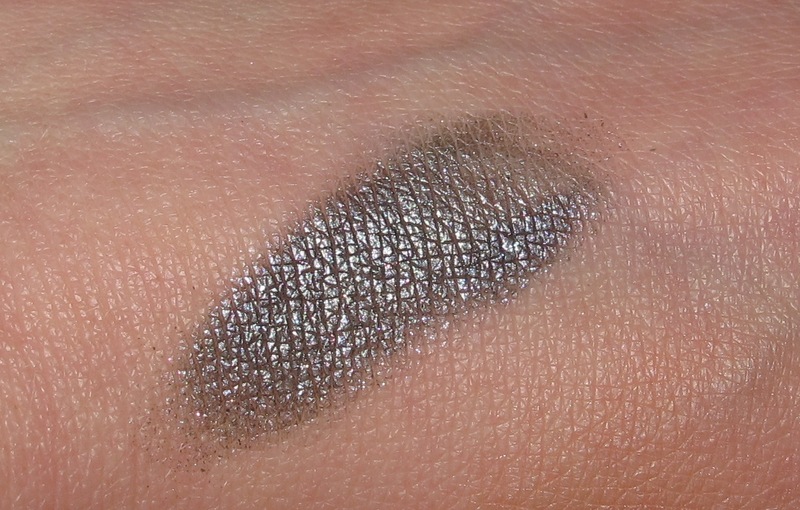 MAC's mineralize eye shadows can be annoying to apply with a brush, as they product tends to stray from your eyes. I personally recommend applying them with your finger. The pigment stays tightly packed and there is much less fall-out this way. As you can see, Jade's Fortune is GORGEOUS in the pan. It is a mix of yellow, lime green, sparkly navy blue, with a touch of white and maybe black thrown in. Depending on the marbling of colors in your pan of Jade's Fortune, your eye shadow may look totally different. I was fortunate enough to get a pan where the lime/yellow section is kind of separate from the navy section. So I can kind of pick up more lime and yellow for the inner part of my eyelid and then grab more of the navy for the outer 3rd and the crease. I mentioned that I prefer to apply MES (mineralize eye shadows) with my fingers. 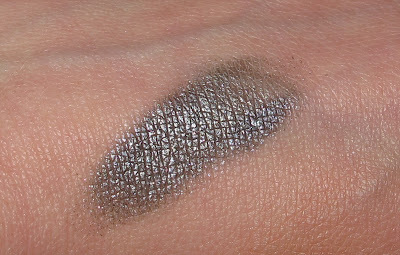 For these swatches, I sprayed a bit of MAC Fix+ on my finger, swirled in the pan, and applied to my hand. Water works well on MES as well. I will definitely be posting an eye look with Jade's Fortune and I will show you what I mean about being able to use the lime/yellow section and navy section separately. Warmth of Coral is quickly becoming a favorite every day blush for me. 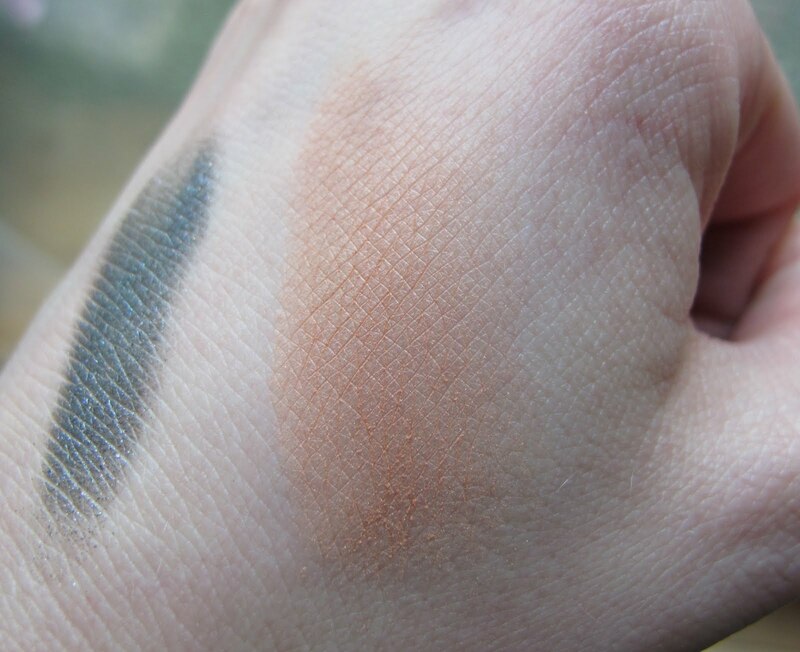 This picture shows it heavily swatched and unblended. 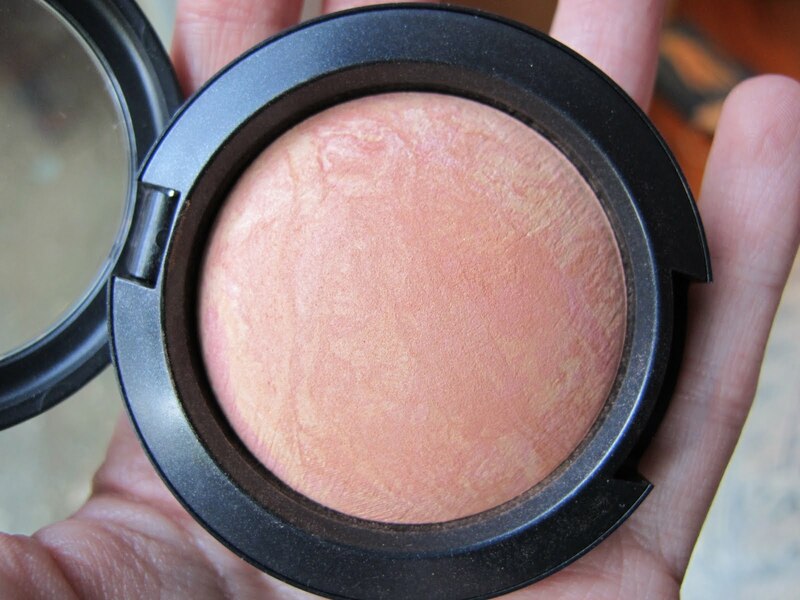 Once blended into skin, it is just a lovely peachy/coral glow. 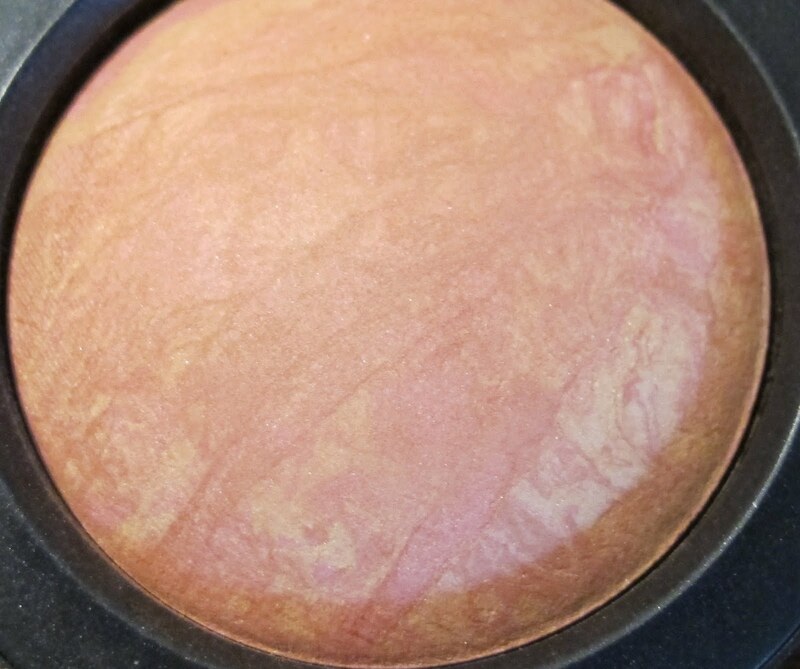 If you've been to scared to try orange or coral blush, this is a nice, natural-looking one to try. 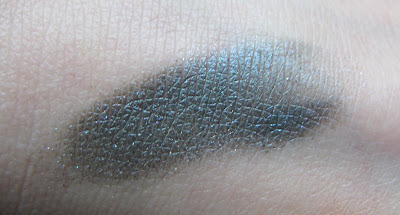 Expect a post with a Jade's Fortune eye look soon! I also may go back and purchase Faux Gold MES as well. It is beautiful and the kind of gold/bronze I wear all the time! 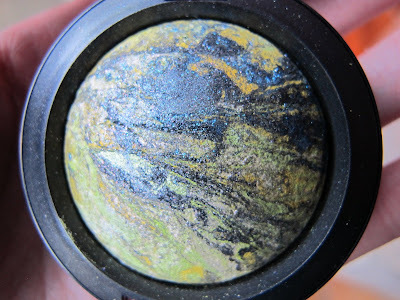 MAC Semi-Precious is available online at MAC Cosmetics or at a MAC Counter near you for a limited time only!